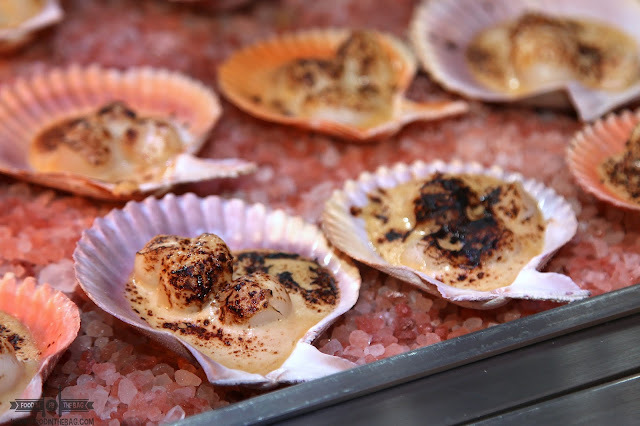 Seafood in itself is an important source of food for everyone. It's something that we all need in our lives. The fact that it's not an unlimited source of sustenance means to say that we need to take care of it. 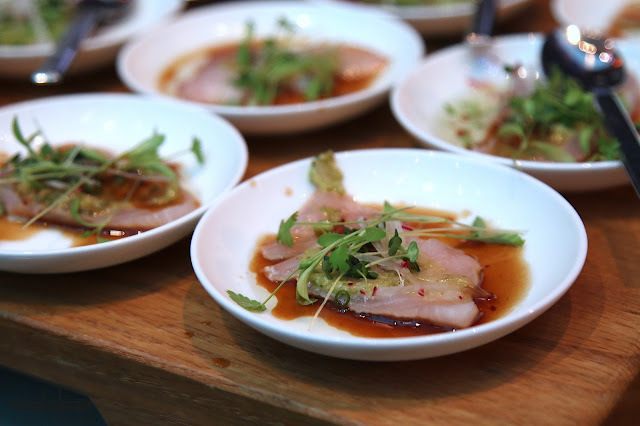 Enter the SUSTAINABLE SEAFOOD WEEK 2018. 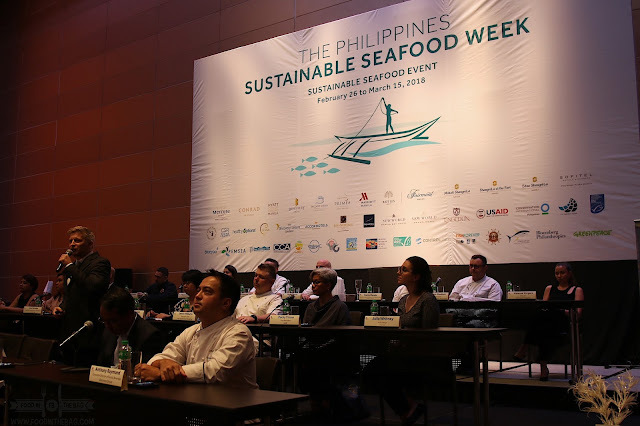 Just a few days ago, the 3rd annual SUSTAINABLE SEAFOOD WEEK in MANILA was launched to highlight the importance of proper fishing and the right way of sourcing ingredients that won't deplete our natural resources. By being responsible, we are able to take care of future generations and also make sure that they have a grand time harvesting and trying out the different delicacies that we have. 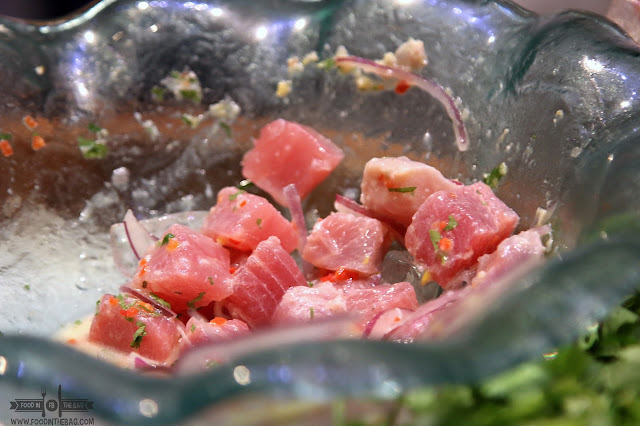 Different hotels, culinary schools, and establishments joined together to present a united stand in dealing with Sustainable Sourcing of Seafood. 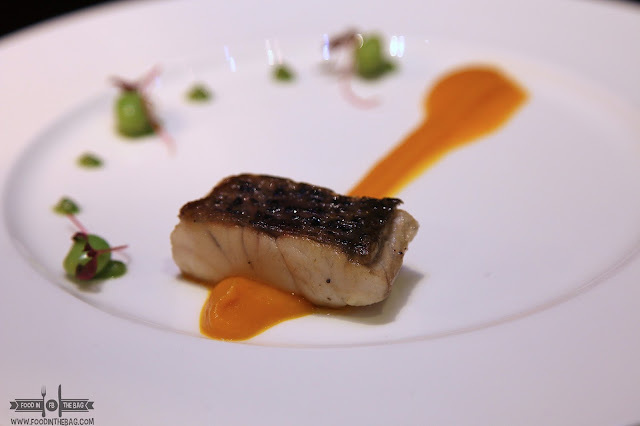 They brought out the big guns to showcase the different dishes to everyone in the industry. One of them would be AG NEW WORLD MANILA BAY HOTEL. Their spread included a number of cooked dishes as well as fresh oysters. The oysters were flown in from Aklan and are comparable even to the ones from abroad. Their take on aburi scallops was also pretty good. As they blow torched it on the spot while having a sort of mixture on top. Other hotels such as CONRAD MANILA went above and beyond with their spread. They had a seafood dumpling infused with tea and topped with gold flakes. Plus, they had a ceviche with truffle espuma concoction that made me go back for more. 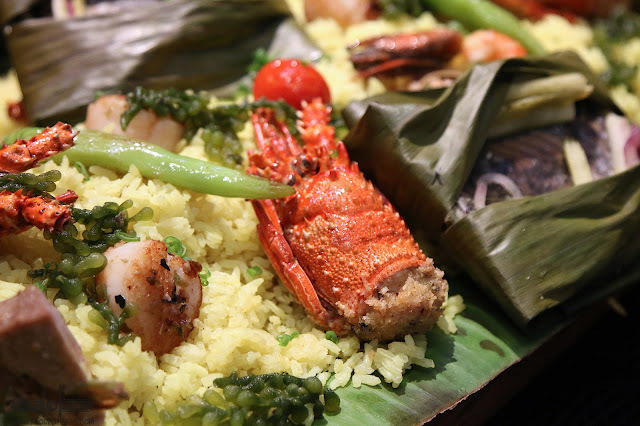 The Discovery Group made a great impression on the crowd as they served seafood as a boodle fight. Rice plus fish, shrimps, oysters, and scallops were placed as the main toppings. There was a bee line for this. 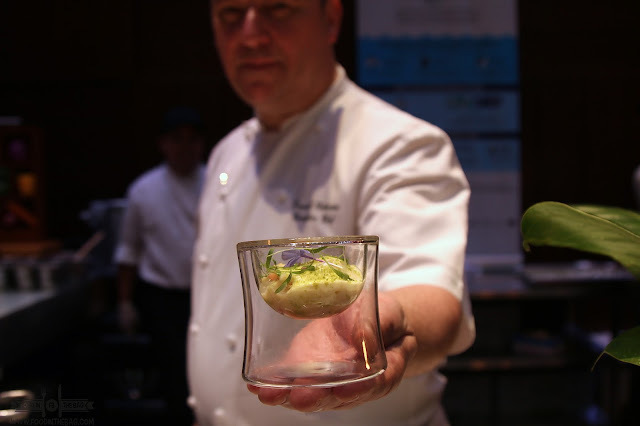 Not to be outdone, the MARRIOT HOTEL went all out and showcased a number of dishes. 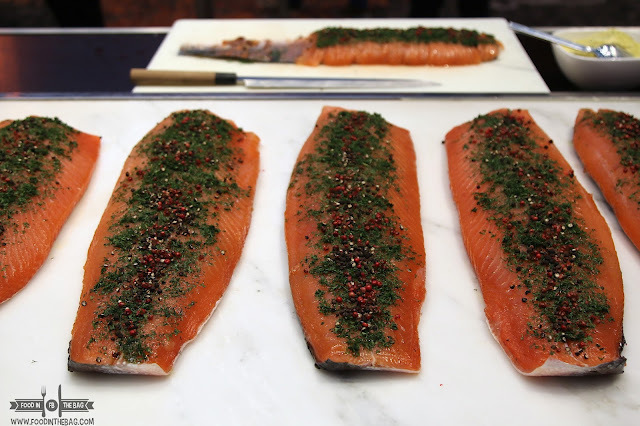 Aside from the fish tacos being served and prepared at a back of a golf cart, they also had a make your own smoked salmon station. Needless to say, it was wiped out in an instant. 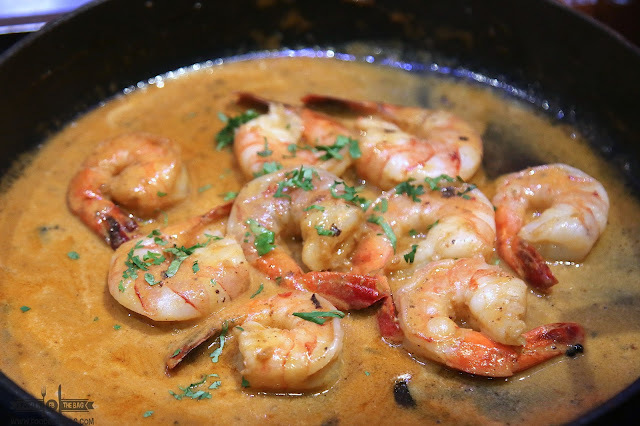 Using premium quality black tiger prawns called SELVA SHRIMPS, MARRIOT has indeed taken the high road as these are farmed in mangrove forests with no fertilizers and chemicals used. You could head on over to the Marriot Cafe to try them out with sambal or even in a delicious Sisig styled dish. The SHANGRI-LA GROUP was also present with staff from SHANGRI-LA FORT and MAKATI SHANGRI-LA making risotto, ceviche, and more. The guys from SAMBA had tamales with these shrimps and they made it with flare. Everything was plump and perfect and cooked on the spot. According to the chef, the tamales are by special order only. If only they could have them in their regular menu in Samba then we could all have a grand time. Not to be left out, RAFFLES and FAIRMONT MAKATI was also there. There was this one dish that had me come back not just once or twice but around 6 times. The mahi-mahi carpaccio was something that made me drool. If you're a sushi lover, this had a mix of Japanese flavors and was perfect because of the freshness of the ingredient. 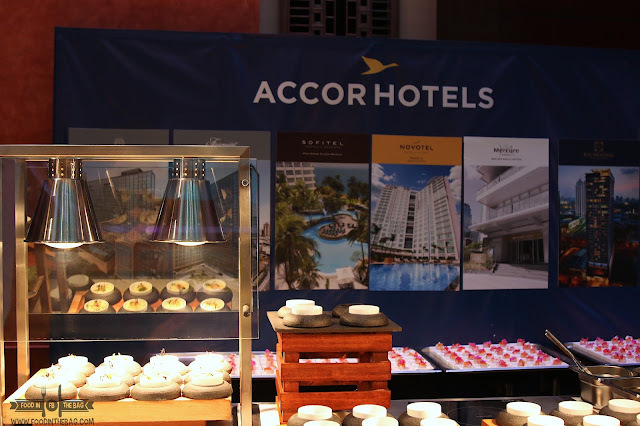 Accor hotels were also there to present their take on sustainable seafood. 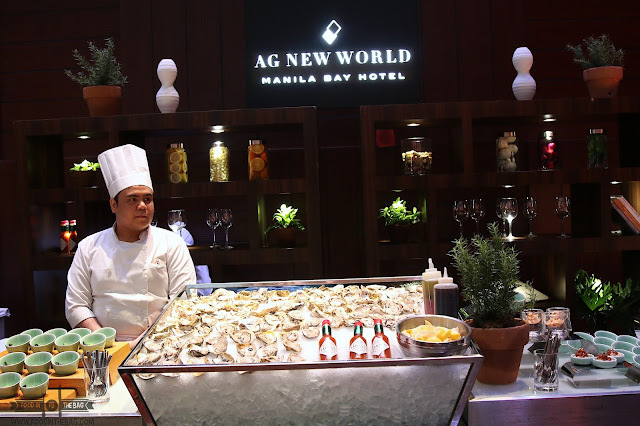 Sofitel, Novotel, Mercure, and even Joy Nostalg had different dishes to make a visit to their tables and restaurant a must during the SUSTAINABLE SEAFOOD WEEK 2018 LAUNCH. 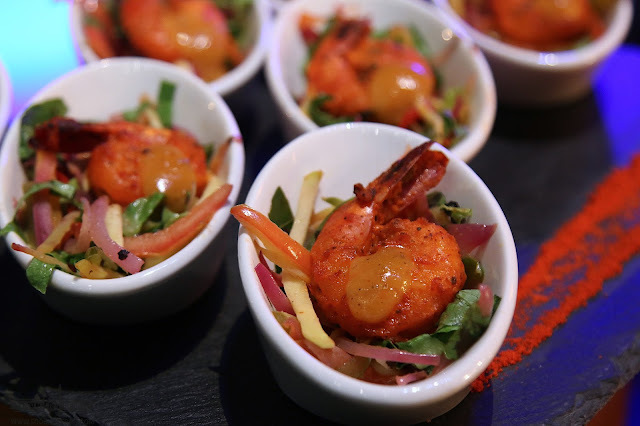 It was nice to see that Novotel brought out some tandoori shrimps. Personally, my favorite part of their buffet is the Indian Section so naturally, I had fun with this. Joy Nostalg Ortigas, on the other hand, went with some pan seared cod and mango salsa. 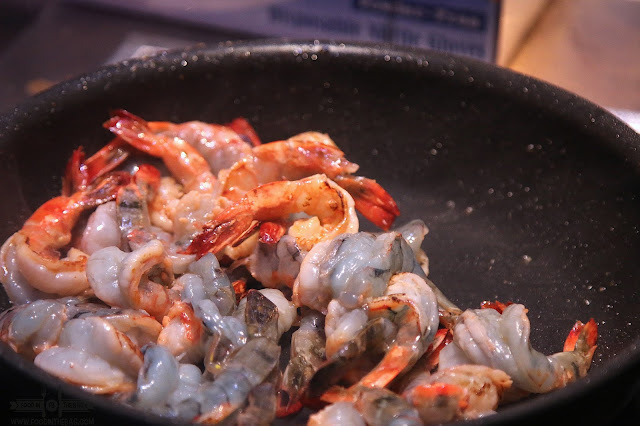 Plus, they had shrimps as well! The event was also filled with other establishments, CCA and Enderun Colleges were there to have their students show their skills and their will towards sustainable seafood. Aside from seafood, it's also important to take note of organic vegetables that would go perfect with each bite. 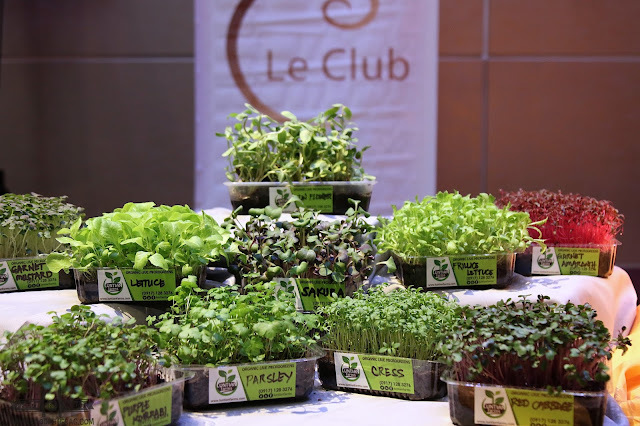 Having great and well sourced greens would be something that each guests and foodie must indulge in. Aside from helping the environment, it's also sustainable. To be honest, all the dishes that we tried in this launch was incredible. It just goes to show that working with something sustainable and being aware of the implications of such could lead to a satisfied taste bud and a happy planet earth. 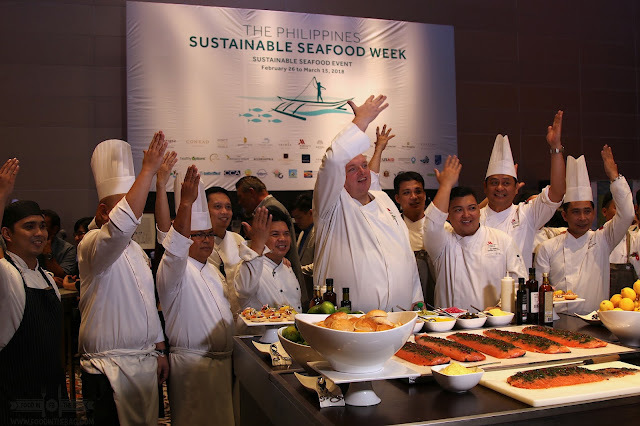 SUSTAINABLE SEAFOOD WEEK 2018 would run from February 26 to March 15, 2018. Different establishments, hotels, restaurants, and schools would launch activities that would promote responsible seafood harvesting.